After all the holiday stuff settled down, I realized we were pretty low on ingredients. 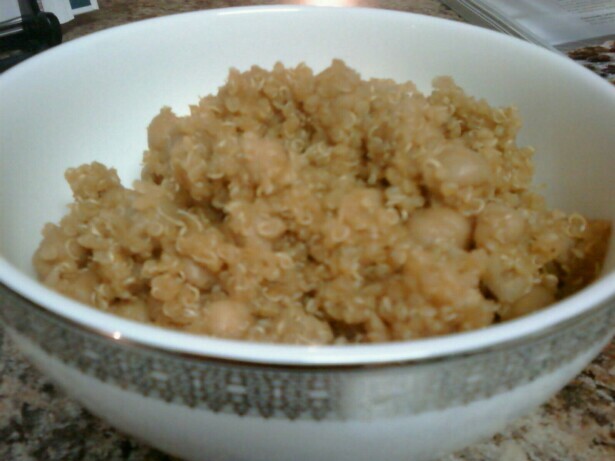 I was trying to think of what we could make that was delicious and based around quinoa and chickpeas when I remembered this tasty Veganomicon recipe that I made a while back. Thomas offered to make this easy recipe for us, and made a killer dinner. My edits to the recipe are to cut the oil way down or just mist the pot, used ground coriander instead of crushed coriander seeds and water + a bouillon cube for the broth. Easy, quick, satisfying. OH! If you want to serve this as a dinner (it’s actually a side dish) make sure to double the recipe. Otherwise it’s really only two dinner servings, and the next day when you’re craving it, you will be completely out of luck! Every time I open this book I always wonder why I don’t cook from it more. It’s HUGE and has SO many amazing recipes. I always see something new that I want to try. So I decided to start flipping through the Veganomicon again. There are SO many recipes in that book, and with only great successes so far, I’m happy to keep on trying them out! I picked out 2 recipes starring chickpeas/garbanzos to make this week. The only adjustment I really made was using a large red onion, and ground coriander instead of crushing the seeds myself. What’s weird is that if you google this recipe, some people list it as having a finely diced medium carrot too. I’m not sure if this is in another edition, but it’s not listed in mine. It would probably make a tasty addition though. Even though they have it under side dishes, I served it as dinner last night. Between the chickpeas and the quinoa, it’s pretty hearty. It came out to two dinner servings and a little leftover. 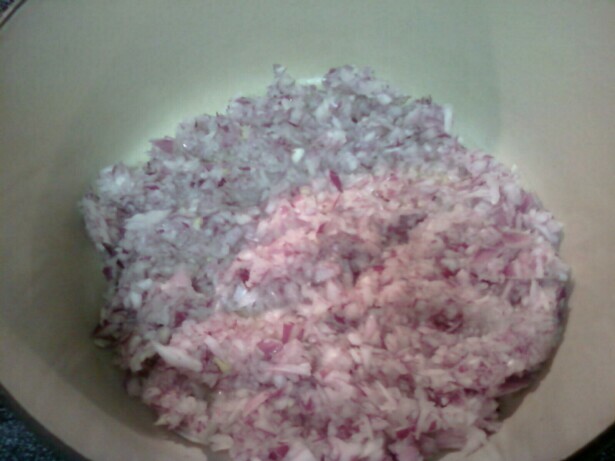 I’ve started using my food processor to chop onions and garlic lately. Here it is right before the broth addition. 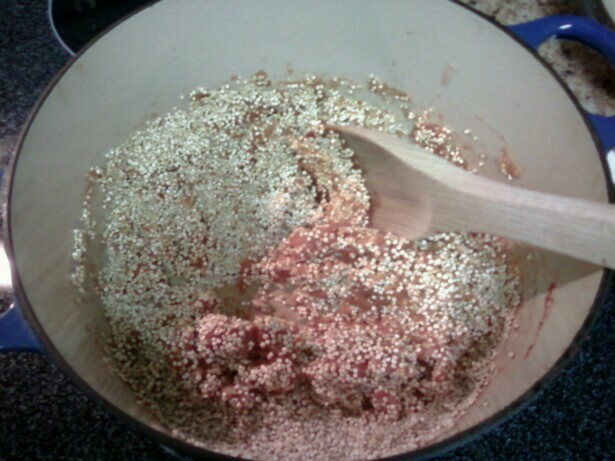 Onions, garlic, tomato paste, spices and quinoa. Turned out really flavorful and yummy. Definitely a keeper recipe! !